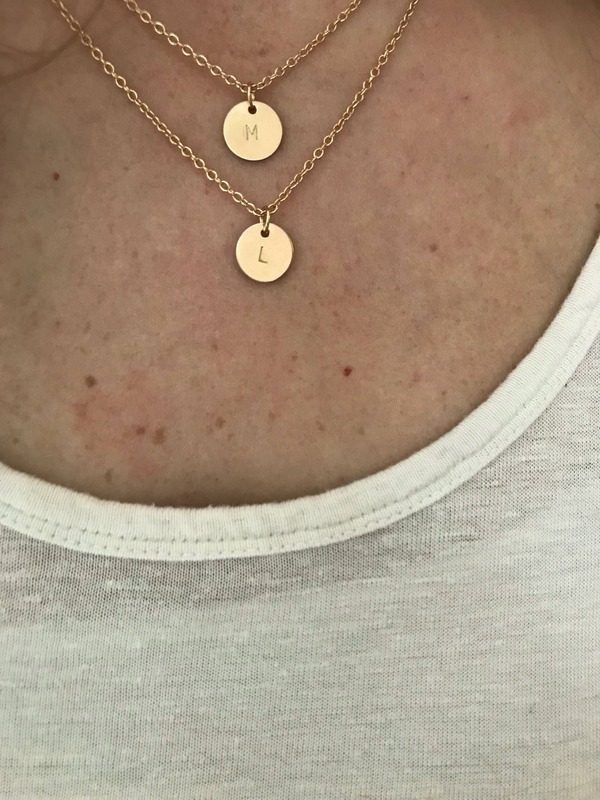 Layered Initial Necklace-Comes in Gold and Sterling Silver! 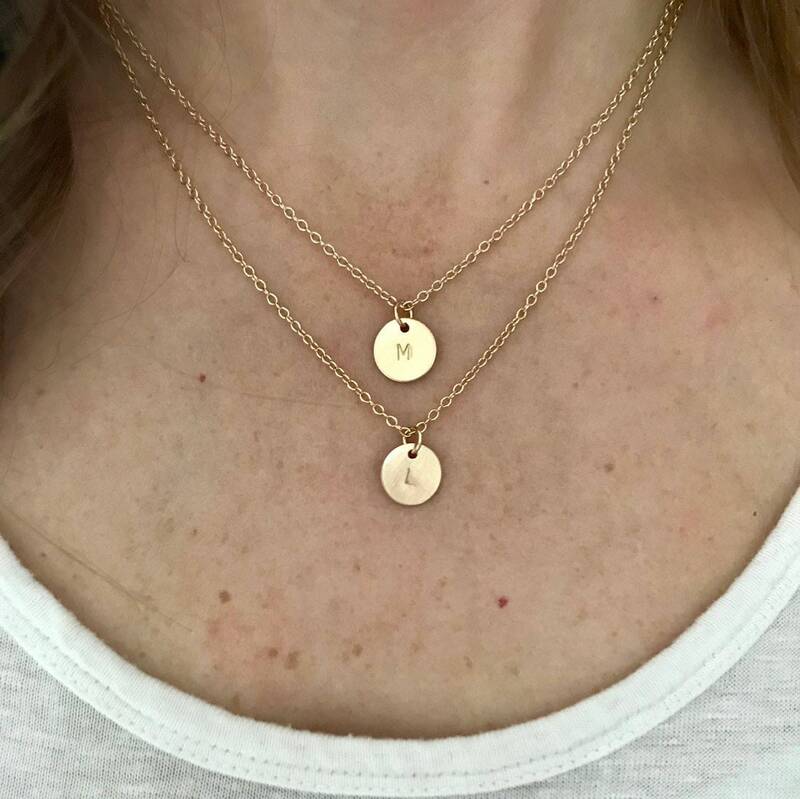 The Mason necklace comes as a set of two layered necklaces. Disks are polished to a lightly brushed finish. 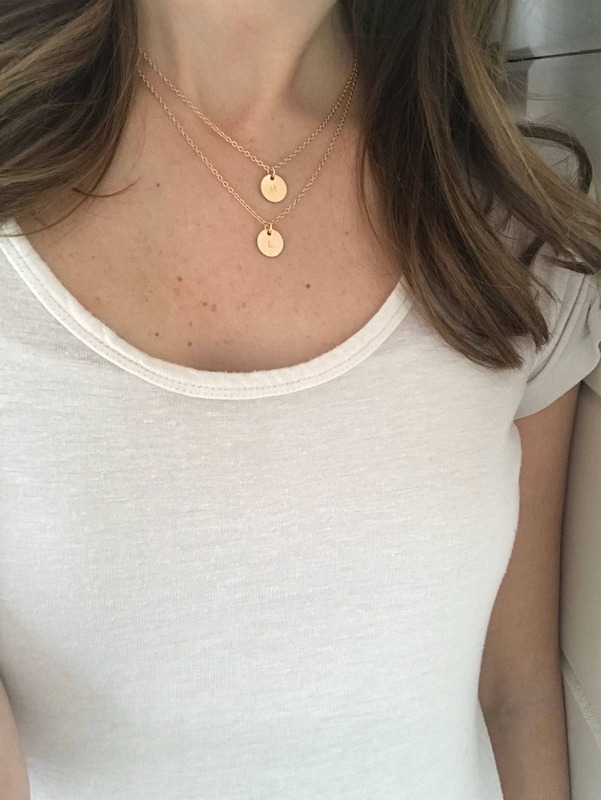 ►Model is wearing a 16"-18” 14K gold filled chain. 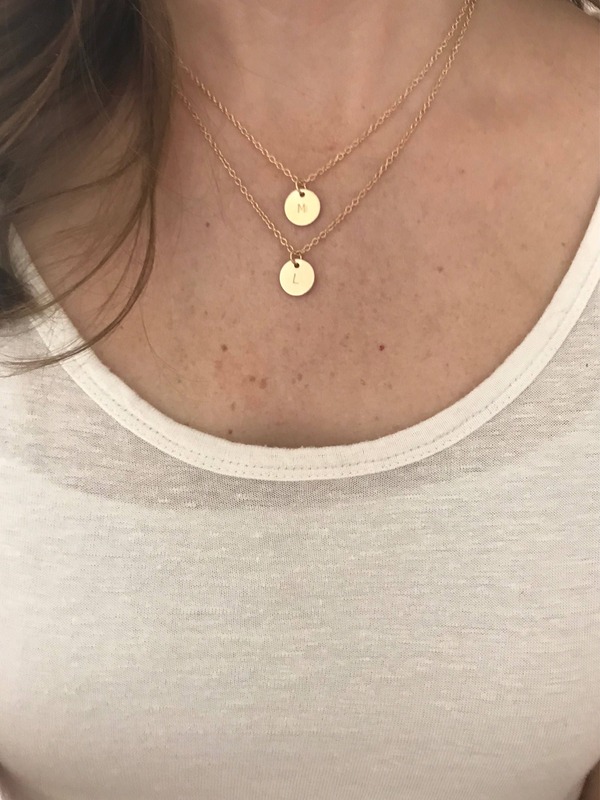 *These chains are two separate necklaces therefore you can wear them as a set or separated. 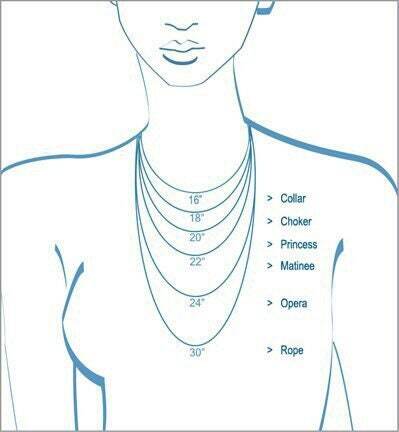 *Due to the nature of layered necklaces you can expect chains to twist and overlap. *I do not stamp on the back of these tags because it will leave an impression on the front. Came quick and fast and absolutely beautiful!!! Going to order more! Item came quickly. It is what I expected and I love how it looks. Slight issue is that the 2 separate pieces get tangled together.